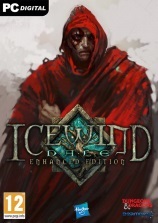 Buy Icewind Dale: Enhanced Edition now! Q: Which version of the rules would you prefer to see a new (A)D&D CRPG use? Interestingly, if the choice was up to the visitors of Sorcerer's Place, a new D&D CRPG would be using the previous generation of D&D rules, 3.5e, which received nearly 40% of the votes. 2nd edition (AD&D) rules still have a significant number of fans, but less than a third of our visitors (29%) would prefer to see a new AD&D rules CRPG. The current, 4th edition of D&D rules, would be the choice for a new D&D CRPG by only 17% of the poll participants. Finally, 14% of those who have voted aren't concerned with the (A)D&D rules editions and would welcome a new D&D CRPG regardless of the ruleset version it used. Exactly two thirds of our visitors (66%) favour NVIDIA as their current graphics card brand of choice for PC gaming. ATI has a significantly smaller number of followers in our community; only 29%. 3% of those who have voted actually manage to get by with an integrated Intel graphics chip (almost no hope of being able to play any recent games there) and finally, the remaining 1% of the poll participants use another graphics card brand not listed here for PC gaming (either quite old, or quite exotic). Q: Have you ever played The Temple of Elemental Evil with the Circle of Eight Modpack installed? The relative majority of those who have voted (39%) haven't played ToEE at all (yet), so naturally they couldn't have played it with the Co8 modpack installed either. 29% of our visitors who have participated in the poll, however, have played The Temple of Elemental Evil with the Co8 modpack installed at least once. Nearly as many who have voted (28%) and have played the game haven't ever played it with the Co8 modpack installed. Interestingly, 3% of those who have voted don't remember if they've played ToEE with or without the Co8 modpack installed. Q: Have you played any of the Baldur's Gate or Icewind Dale series of games online/multiplayer this year? Exactly one percent more than half of the poll participants (51%) haven't played any of the Baldur's Gate or Icewind Dale series of games online/multiplayer this year even once. The second largest group of voters, however, is the bunch that has played BG and/or IWD games online/multiplayer often this year. No less than 18% of those who have voted fit into this category! A considerable percentage (13%) of our visitors who have participated in the poll have tried playing online/multiplayer this year, but unfortunately couldn't get it to work. The final 18% are split equally between those who have played BG/IWD series of games online or multiplayer a few times this year (9%) and those who have only done so once or twice (another 9%). Q: Are you going to buy Storm of Zehir, the second Neverwinter Nights 2 expansion? Nearly half of the poll participants (47%) are definitely going to buy Storm of Zehir, the 2nd NWN2 expansion. Slightly more than a third of those who voted (34%), however, haven't yet decided if they'll be buying the expansion. 19% of all the poll participants are convinced that they'll never buy Storm of Zehir. Q: Are you happy with Dragon Age being BioWare's own non-D&D game? Nearly half of those who have voted in the poll (49%) are not happy with BioWare making Dragon Age as their own intellectual property (IP) and would have preferred them to make another D&D fantasy RPG instead. However, quite a large number of poll participants (39%) don't really care if Dragon Age uses the D&D rules or not. Interestingly, only 12% of those who have voted in the poll prefer the fact that BioWare is making a non-D&D fantasy role-playing game. Slightly more than a quarter of those who have voted (26%) will reserve judgement on Fallout 3 until it's released. 16% of the poll participants think that Fallout 3 will be good, followed by 13% of those who think that it'll only be average. We have 9% of true Fallout fans (I jest) who naturally think that Fallout 3 will be awful, as well as another 9% of those who don't care about it at all. Q: If released, do you ever buy collector's (or otherwise special) editions of computer or console role-playing games? Nearly a third of the poll participants (32%) occasionally buy collector's (or otherwise special) editions of computer or console role-playing games, followed by almost a quarter (24%) of those who only rarely buy such editions. 16% of those who have voted in the poll don't buy such editions of games, but would if they could. Nearly as many people (15%) don't buy collector's editions of games because they don't care for them. Lastly, 13% of the voters always buy collector's (or otherwise special) editions of computer or console role-playing games if at all possible. Q: How often have you had to replace (due to losing, breaking, scratching etc.) any of your (A)D&D game discs to date? More than half of the poll participants (52%) have never had to replace any of our (A)D&D game discs to date, so we're obviously either very careful or very lucky (or both). Nearly a fifth of the people who have voted (19%) have only had to replace some of their game discs once, followed by 13% of those who have been so inconvenienced twice. From here onwards we're delving into the realm of a significant number of disc replacements, with 12% of the poll participants who have had to replace some of their (A)D&D game discs 3-5 times and another 3% who have had to do it 6-10 times. Finally, believe it or not, 2% of our visitors who have participated in this poll have had to replace some of their D&D game discs 11 times or more! Q: What sort of party do/did you prefer to play Baldur's Gate 2 with? The majority of our visitors who have voted in the poll (58%) are purists, preferring to play a party with the original game's NPCs. Far behind them are 18% of those who prefer to play Baldur's Gate 2 with a touch of modded NPCs, but only in conjunction with the game's original NPCs. 12% of all who have voted prefer to play Baldur's Gate 2 solo, which is a rather surprisingly high percentage for this difficult mode of play. 11% of those who have voted prefer to play a BG2 party made up of characters created by themselves (IWD-style). Q: Which of the upcoming Neverwinter Nights 2 additions are you looking forward to the most? Most of those who have voted in our poll (37%) are equally looking forward to Storm of Zehir and Mysteries of Westgate to extend their NWN2 experience. A bit more than a third of the poll participants (34%) are looking forward to Storm of Zehir the most, followed by a quarter of our visitors who don't care about either expansion. Only 4% of the poll participants are looking forward to Mysteries of Westgate the most. Q: Considering the currently available Dragon Age: Origins media, how impressed with what the game is shaping up to be are you? A third of our visitors (33%) who have voted in our poll are considerably impressed with what the game is shaping up to be, followed by about a quarter (26%) of those who are somewhat impressed with Dragon Age. Interestingly, an equal number of people have also voted that they are very much impressed with the current state of Dragon Age: Origins as that they are not at all impressed (21% each). Frankly, given the very low response to this poll, most of our visitors don't seem to be very aware of it at this point, though I expect that this will change now that BioWare's PR floodgates have opened. Q: Which of the upcoming non-D&D games also covered on BoM are you looking forward to the most? Fallout 3 has the largest share of our visitors eagerly anticipating it with 42% of the votes from people who are looking forward to it the most. Diablo 3 is nearly equally anticipated, with 40% of those who have voted in our poll looking forward to it the most. Starcraft 2 has considerably fewer eager fans among our midst; only 14% of votes have been cast in its favour. Last and apparently least is Wrath of the Lich King (a World of Warcraft expansion) that only 4% of the poll participants are looking forward to the most. Q: Are you going to buy any of the core 4th edition Dungeons & Dragons manuals? More than half of the poll participants (52%) are determined never to buy any of the core 4th edition D&D books. A quarter of those who have voted (25%) aren't that certain, leaving the possibility of buying at least one new D&D manual open. 17% of those who have participated in the poll have already bought at least one core 4e D&D manual, and the remaining 6% are determined to buy one or more of the core 4e D&D manuals. Q: Which male Baldur's Gate 2 NPC did you find to be the most annoying? Yes, yes, the winner is obviously Anomen with the relative majority of 30% of votes for the most annoying BG2 male NPC. That guy just can't get a break! But believe it or not, the runner-up is Minsc with 11% of your votes... Do I hear gasps from the audience? None of the male BG2 NPCs bothered 10% of those who voted, but another 10% of our visitors voted for Haer'Dalis as the third most annoying Baldur's Gate 2 male NPC. Yoshimo and Jan both received a nearly equal amount of votes (9% each) and the same goes for Cernd and Edwin (7% each). The four remaining male NPCs (Valygar, Korgan, Sarevok and Keldorn) are apparently not considered annoying by many, since they've each received only 2% of the people's votes. Keldorn wins as the least annoying Baldur's Gate 2 male NPC. Q: Overall, do you prefer enemies in RPGs to eventually respawn after being killed, or want them to stay dead for good? According to the votes, nearly half (47%) of the poll participants always prefer their killed enemies in RPGs to stay dead, rather than to eventually respawn. Interestingly though, 44% of those who have voted don't always prefer the above option, but sometimes prefer them to respawn as well, depending on the game. However, only 9% of all who have voted always prefer their killed enemies in RPGs to eventually respawn. Q: Which female Baldur's Gate 2 NPC did you find to be the most annoying? Before anyone accuses me of sexism, YES, we will be running a male NPC version of this poll in the future as well. This poll's "winner" is Aerie, considered the most annoying female BG2 NPC by more than a quarter (27%) of the poll participants. The runner-up for the most annoying female BG2 NPC award is Nalia, with 21% of the votes. Imoen and Jaheira are interestingly considered to be almost equally annoying, with 16% and 15% of the votes each. Only 12% of those who have participated in the poll are patient enough to have voted that none of the female Baldur's Gate 2 NPCs have bothered them enough to be considered annoying. Mazzy is obviously relatively harmless (or avoided...), with merely 6% of the annoy-votes. Q: Do you play computer games using a wide or regular monitor? Exactly half of those who voted in the poll (50%) use a regular-sized monitor, followed by a considerable percentage (41%) of those who already use wide monitors to play computer games. 5% of the poll participants don't use monitors to play computer games, preferring projectors, TVs and the like to do the job of monitors. Only 4% of those who have voted adjust the display used depending on the game (which very likely means that not many of our visitors use two or more monitors with their gaming rig). Q: How many different massively multiplayer online role-playing games (MMORPGs) have you played to date? Exactly two fifths (40%) of the poll participants have played 1-3 MMORPGs to date. 28% of those who have voted haven't played any MMORPGs yet. 13% of the participants in the poll have played 4-6 MMORPGs to date, followed by 8% of those who have played 7-9 of them. 5% of all who have voted have played 10-15 MMORPGs, closely followed by 4% of those who have played more than 21 MMORPGs, believe it or not. The numbers of those who have played 16-20 MMORPGs to date are the smallest, only 1% of the poll participants. Q: Which Planescape: Torment NPC do you feel was the most memorable? Close to a half of the poll participants (48%) feel that Morte is the most memorable Planescape: Torment NPC. But then again, disembodied floating skulls aren't too common. The second most memorable PS:T NPC in the people's opinion is Dak'kon, whose sad fate has left an impression on many. The third most memorable Torment NPC is, interestingly, Fall-from-Grace with 12%, followed by the only other female NPC, Annah, with 10% of the votes. The remaining NPCs have never been that popular and consequently few people have listed them as the most memorable. Ignus has fared best with 5% of the votes for the most memorable PS:T NPC, followed by Vhailor with 3% and Nordom with mere 2% of the votes. Q: Which of the NPCs in Mask of the Betrayer do you like the least? Almost half of those who have voted in the poll (49%) haven't played Mask of the Betrayer yet. The least popular NPC from Mask of the Betrayer is the evil One of Many with 14% of the people's votes. Next up are the neutral Gann and good Kaelyn, each with nearly the same number of votes and 9%. The neutral Okku is slightly more popular with only 7% of votes against him, followed by another duo of NPCs disliked the most by nearly the same number of poll participants. This time it's the neutral Araman and Safiya, each with 6% of the votes. Q: Do you install the official patch(es) for your PC games before you start playing them? Tsk, tsk... only two thirds of our visitors who have voted in the poll (66%) always apply the official patches for their games before they start playing them. A quarter of those who have voted (25%) sometimes install the official patches for their PC game before starting to play them. Q: In the unlikely case of a decent adaptation, which of the games (and/or their expansions) covered on SP would you most like to see made into a movie? As the poll results clearly show, our visitors have a rather short list of (A)D&D games that they would like to see adapted for the big screen. Interestingly, Baldur's Gate 2 and Planescape: Torment are practically evenly supported by the fans, with only a single vote's difference between them (each supported by 31% of the poll participants). Third in line for the Uwe Boll massacre (just kidding...) is the original Baldur's Gate with stingy 17% of votes. It would be rather silly to have a movie based on the sequel to the original BG first, but then again the question wasn't which one should be done first, just which one people would like to see the most. The original Neverwinter Nights (5% of the votes) is the last game that more than 3% of our visitors would like to see made into a movie the most. Honestly, it'd probably be the least likely to be ruined by the adaptation, given that there's not that much story there to bastardise. And Boll does have prior experience with zombies. I can see it now: "Neverwinter Night of the Living Dead". *shudders* For the love of all that is holy, if a NWN movie ever does get made, it should be based on Hordes of the Underdark. Last and pretty much least is a not so short list of losers that few people consider to be stellar movie material: Neverwinter Nights 2 (3%), Icewind Dale 2 (3%), Icewind Dale (3%), The Temple of Elemental Evil (3%) and Pool of Radiance: Ruins of Myth Drannor (2%). All we need now is for Peter Jackson to want to make a Planescape: Torment or Baldur's Gate 2 movie. Q: What is your stance towards the upcoming 4th edition Dungeons & Dragons rules? More than half of the poll participants (53%) aren't familiar enough with 4e to form an opinion about it at this point. 21% of those who voted (the majority of voters who have formed opinions yet) have a negative opinion of it. Relatively close on their heels are the 17% of those of our visitors with a positive stance towards the upcoming 4th edition D&D rules. Lastly, 9% of of the poll participants hold a neutral stance towards the upcoming 4e. A while after the first 4e CRPG comes out it'll be interesting to see how these percentages have changed since February 2008, so we'll be running another such poll then. Q: How long has it been since you've last replaced your gaming PC's graphics card? As I expected, we're a very diverse group when it comes to how often we replace our graphics cards. However, the relative majority of those who have voted (17%) have replaced their gaming PC's graphics card in the last 3 months, which makes it quite clear that having the latest and greatest to play with is a top priority for a significant chunk of the gamer population. But we all knew that, right? Next up are the 15% of us who have last replaced our graphics card 1.5-2 years back, followed closely by the 14% of poll participants who have done so 7-12 months back. 12% of those who have voted have last replaced their graphics card more than 2 years ago, with 11% of those who have actually had the same graphics card for more than 5 years (museum value there...) close on their heels. 10% of the participants in the poll have last replaced their graphics card 3-6 months ago, again followed closely by the 9% of those who have done so 13-18 months back. Lastly we have a double 6% of those who have last switched their graphics card more than 3 years back and those who have last switched more than 4 years ago. All in all, 65% of our visitors are equipped with graphics cards last replaced less than 2 years ago and only 35% of our visitors haven't replaced their gaming PC's graphics card in more than 2 years. Q: On a scale of 1-5, how excited are you about the upcoming NWN2 adventure pack, Mysteries of Westgate? Nearly two fifths (39%) of the poll participants don't care about the upcoming Mysteries of Westgate, but since this figure inevitably includes more or less everyone who hasn't played Neverwinter Nights 2 (yet), it doesn't mean that much. Of those who are excited about MoW, the relative majority (30%) is very excited indeed, rating their excitement 5/5. Next up are the 11% of those poll participants who have rated their excitement about the upcoming Neverwinter Nights 2 adventure pack 3/5, and another 11% of those who have rated it 4/5. The remaining 10% are from those who have rated their excitement 2/5. All in all, we can say that the excitement about Mysteries of Westgate among the NWN2 players is quite considerable. Q: On a scale of 1 to 5, how would you rate the expired year 2007? As is the custom in this sort of polls, the relative majority of those who have voted (39%) have rated the past year 2007 a 3, right in the middle. 23% of the poll participants consider 2007 a very good year (4/5), followed by 15% of those who think it was quite bad (2/5). Close on the hells of "quite bad" are those who think that 2007 was an even worse year (14%), rating it 1/5. Finally, just to show that it's not all doom & gloom for everyone, 9% of those who have voted have rated the year 2007 5/5. Q: Do you prefer combat, story or an even mix of both in roleplaying games? Not at all surprisingly, the majority of you (53%) prefer the story first and combat second in RPGs. However, a great number of the poll participants (43%) enjoy an even mix of both in the RPGs they play. Only 5% of those who have voted prefer combat in RPGs first, and the story second. Q: Which of the listed settlements you could visit in Baldur's Gate 2 would you like to live in the most? The bustling city of Athkatla is apparently the favourite BG2 fantasy living destination of our visitors, with nearly a third (32%) of the votes. Suldanessellar, the city of the elves, is a slightly less popular potential home, with 28% of the votes. Close on its heels is Trademeet, with 24% of the votes. The BG2 drow settlement of Ust'Natha is popular with only 11% of the poll participants, and the pirate city of Brynnlaw is a place where merely 5% of those who have voted in the poll would like to live in. Q: Which hypothetical (spiritual) sequel would you like to play the most? No shock or amazement in this Infinity Engine inspired poll - the majority (61%) of the Sorcerer's Place community would like to play Baldur's Gate 3 before anything else. Just think of all the new NPC mods! Pure bliss! Second place goes to Planescape: Torment 2, which 28% of our visitors would like to play the most. I'm somewhat disappointed by the low figure, but I know that PS:T's superiority requires a more refined taste to truly appreciate, so I understand. Icewind Dale 3 is the last on the list of sequels that our community would like to play the most, with only 11% of votes. How cold of you all. Q: Have you tried out any of the new races (genasi, half-drow, wild elf) in Mask of the Betrayer? As the poll results clearly show, the majority of you haven't even played MotB yet, let alone tried any of the new races in the NWN2 expansion. 14% of those who have voted haven't tried out any of the new races yet and don't intend on doing it either. 13% of the poll participants, however, do intend to check them out in the future. Of those of our visitors who have voted in the poll, 10% have tried out 1 of the new races in Mask of the Betrayer, 4% have tried out all 3, and 2% have tried out 2. All in all, there obviously isn't any huge interest in the new races. Extrapolating from the results, roughly 35% of those who have played MotB have also examined at least 1 of the new races. Q: Have you ever given anyone any (A)D&D computer games as a gift? Only a few poll participants less than a half (49%) have given (A)D&D computer games as gifts at some point. 44% of those who have voted, however, have never given anyone any (A)D&D computer games as gifts. Finally, 7% of those who have participated in the poll don't even remember if they have ever given any such gifts. Q: Do you think that the original Neverwinter Nights 2 campaign is better than that of Hordes of the Underdark (second NWN1 expansion)? A bit more than a quarter (28%) of the poll participants think that the NWN2 OC is not better than the Hordes of the Underdark campaign from NWN1. Slightly less than a quarter (24%) of those who have voted haven't played Neverwinter Nights 2 (yet), so they couldn't give their opinion at this point. 22% of those who have played both NWN2 and HotU, however, believe that the NWN2 OC is actually better than the Hordes of the Underdark campaign. 10% of those who have voted in the poll consider both NWN2 and HotU equally good, closely followed by the 9% of those who haven't played Hordes of the Underdark, and were consequently unable to express their opinion in the poll. Lastly, 6% of all the poll participants could not decide which of the campaigns in question was better. Q: Have you played Planescape: Torment? Apparently, over the years, the vast majority of our visitors have picked up Planescape: Torment and at least tried it out, if not finished it. More than a third of those who have voted (36%) have finished it more than once. Interestingly, the second largest percentage of votes comes from those who have played Torment, but haven't finished it (22%). 20% of the participants in the poll have finished Torment once, followed by 15% of those who haven't played it yet, but intend to do so in the future. Only 8% of our visitors who have voted in the poll haven't played Planescape: Torment and don't intend to in the future. We ran this poll about 4 years ago (with an additional Other/don't know option), and the results today are still similar overall. The two major desktop PC CPU manufacturers hold about half of the market each. What's interesting, however, is the fact that the figures today, compared with the poll we've conducted 4 years ago, are reversed. In our poll back in 2003, AMD was the one with the 47% market share (Intel got exactly 50% of votes, and Other/don't know got 3%). Today, AMD has a 6% advantage over Intel in our gaming community.